Extremists are taking a page out of brand playbooks and becoming alarmingly successful at leveraging social media. In the US and EU strategies to counteract terrorists, though slow in coming, are now building momentum. 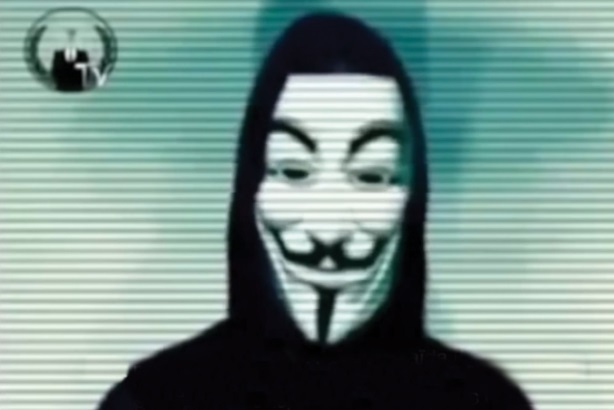 Anonymous has directly targeted ISIL in videos posted online. Extremists wield social media as a virtual weapon to further their cause, whether to take credit for a corporation’s or a government agency’s hacked Twitter account, to exploit YouTube to put acts of violence on display, or to recruit malleable teenagers looking for a cause. In the past 12 months, local headlines across the US depicted extremist groups’ mastery of social media, particularly as it applies to young people. The Denver Post followed three teenage girls’ efforts to escape from Colorado to Syria, reportedly to join the Islamic State of Iraq and the Levant (ISIL). CBS News spoke with a community leader in Minneapolis who said social media contributed to dozens of young men aligning with extremist groups. While groups such as ISIL and al-Qaida have aggressively ramped up creation of English-language recruitment and propaganda tactics, efforts by the US to combat those messages and engage that same youth demographic online are scarce. However in mid-February, there were reports that the Center for Strategic Counterterrorism Communications would be expanded and would coordinate efforts by the US and foreign governments and NGOs to combat online extremists. In addition, the US government would create a cybersecurity center. Extremists harnessing the Internet’s reach to propagandize and recruit is by no means new, dating back to online forums and message boards, says Peter LaMotte, SVP and digital communications chair at Levick. Currently, ISIL commands news coverage because of the group’s "media-grabbing abilities," but online extremism existed before its time, he adds. Extremist groups have been able to get ahead of any US government-fueled efforts online because "they don’t let themselves be held back by the truth," adds LaMotte. "They push the borders of what is considered reasonable messaging." Posted images, while not always "bodies and gore," go for shock value, he says. This makes it difficult for a government agency to keep up. 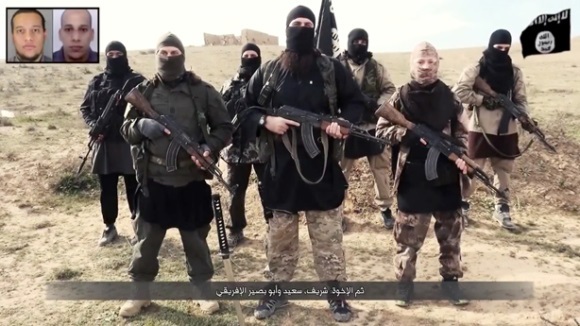 Groups such as ISIL are "taking pages out of American corporate and social and digital marketing playbooks to recruit people for terrorist organizations," LaMotte continues. "They are going to great lengths, akin to running Super Bowl ads on social media." They sift past the majority of Americans disgusted by extremist propaganda, reaching and, successfully, engaging that disenfranchised youth audience, he explains. Farah Pandith, adjunct senior fellow at the Council on Foreign Relations, an independent, nonpartisan membership organization, says extremist groups are taking advantage of a "crisis of identity" among young people – particularly young Muslim men and women living in a post-9/11 world. "Extremists are using that crisis of identity to shape the way in which they try to seduce in an online space," she notes. Pandith says these groups work like advertisers – "selling an ideology in a visual way," and tailoring messages to create a mirror image between recruiter and recruit. For instance, American youth will hear US accents in videos, which will even vary depending upon their location. "They’re using videos rather than text because this is a Millennial generation," she adds. "They’re responding to the same kind of cultural cues that you would use to sell other things." Rashad Hussain, special envoy to the Organization of Islamic Cooperation, highlighted ways to counter violent extremism and terrorist recruiting during his presentation at the Hedayah Countering Violent Extremism Expo in Abu Dhabi in December 2014. -Amplify the Islamic response to extremists to stem recruiting. Messaging initiatives should create and disseminate content, including videos, that create sense of purpose and obligation and conclude with powerful messages of "the proper Islamic/prophetic response." Content must include materials in which Muslim leaders stress that ISIL is not Islamic, a state, or the government, and that its efforts will fail. -De-glamorize ISIL. Highlight instances in which ISIL fighters have retreated and lost ground. Show the miserable living conditions fighters are forced to endure. -Highlighting former radicals and Muslim victims of terrorism. Messaging should erode terrorists’ credibility by using images and Muslim voices to graphically illustrate how ISIL, al-Qaida, and their affiliates are killing mostly Muslims, including women and children, rather than defending Muslim communities. -Maintaining a presence. Messaging initiatives and centers should maintain a constant presence on extremist message boards in multiple languages to combat terrorist narratives and religious arguments and justifications. -Highlighting positive narratives. Highlight Muslims engaged in humanitarian work that benefits those suffering from poverty, disease, and conflict. 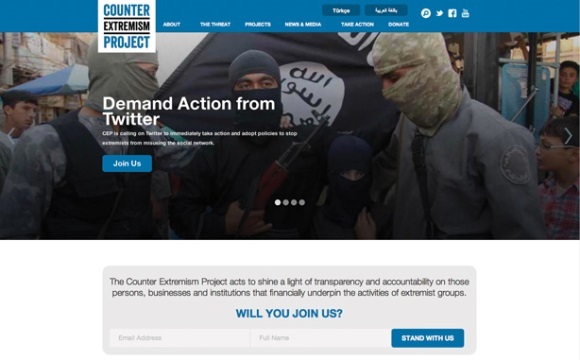 The nonprofit Counter Extremism Project has a petition on its website with the goal of leveraging Twitter to better prevent ISIL’s activities online. "Twitter is the gateway to cyber jihad," says Mark Wallace, the group’s CEO and a former US ambassador to the United Nations, "where many eventual recruits have the first taste of extremist propaganda and recruitment." Wallace labels the social platform’s current approach as "hands off," citing long reporting processes and issues around monitoring and taking down accounts. The nonprofit wants Twitter to ramp up its efforts against extremism because it is best suited to do so. "The best experts at identifying realistic and best practice security options are the people at Twitter themselves," he explains. Pandith believes the problem is solvable, but only if an effective strategy is put in place. "We have the capacity and the skills to send counter messages in an online space to compete with the bad guys," she adds. The question then becomes why is there not an efficient strategy in place and, also, who is best tasked with carrying one out, she notes. As a political appointee in both Bush administrations, as well as the Obama administration, most recently as US Department of State special representative to Muslim communities, Pandith says the government can only go so far. "The credible voices we need to bring up have to come from non-government faces, and the kinds of people who need to work on the campaigns can’t be the government," she explains. "They need to be regular people, and the money that goes toward that needs to come from philanthropists of all kinds." To LaMotte, the US government’s current approach to online extremism is "outdated and ineffective." A successful campaign could be levied against extremists and catch the attention of young people were it approached "in the same way the White House has looked for innovative ways to address user design of government websites or "crowdsourcing of healthcare issues," he says. "The White House has already proven open to seeking new ways to address old problems," LaMotte adds, but so far has come up short battling online extremism. One campaign by the US State Department known as Think Again, Turn Away, has been called embarrassing in some US media outlets. On Twitter, @ThinkAgain_DOS – described as "some truths about terrorism," had more than 20,000 followers as of February. However, a blog post from the Site Intelligence Group in June broke down just a few official ISIL Twitter accounts, with followers ranging from more than 12,000 to more than 36,000 as of mid-2014. LaMotte says the government does not appear to be "an engaged brand" against online extremism, but could improve by taking cues from some corporations’ social media strategies rather than simply pumping out information. "To make an impact, they’re going to have to focus on engaging targets of these terrorists’ recruiting campaigns, and that doesn’t come across as the government," he adds. "If they reached out to some innovative people to help them, a lot would step up." Counter Extremism Project’s Wallace believes it’s time for a "pervasive call to action by the president," which focuses specifically on young people’s willingness to push back online and say: "We don’t agree with this violent extremist ideology." Wallace says a successful campaign may lie outside of a government effort, which is where his project is able to provide assistance. "We focus on the financial underpinnings of extremist groups. If you take away their financial support, and eliminate their ability to propagandize and recruit, or impede those things, you can go a long way in stifling the growth," he says. "That’s what we try to do and there’s a role for that in the private sector." When it comes to crafting a narrative for anti-extremism efforts, Wallace explains that "unity across myriad platforms is needed to get the nation’s attention." That means getting government and industry influencers, politicians, and celebrities on board to take a stand against extremism online and create a viral and compelling effort. 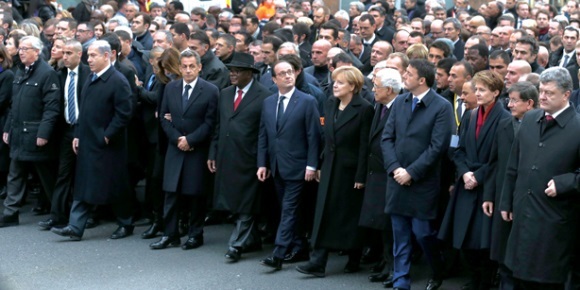 After terrorists opened fire on the French satirical magazine Charlie Hebdo in January, European leaders reacted with a message of condemnation against Islamic extremism, but also made a point to defend Muslims and their civil rights. "French Muslims have the same rights, the same duties as all citizens," said French President François Hollande. His comments were echoed by German Chancellor Angela Merkel, who noted: "We guarantee the free practice of the Islamic faith within the framework of our constitution" and "any exclusion of Muslims, any general suspicion, is forbidden." Their carefully worded statements guarded against rising Islamphobia in Europe, where relations between Muslim communities and many countries have been strained for years. In the immediate aftermath of the Charlie Hebdo massacre, there were reportedly more than 15 attacks on Muslims in France, including grenades and car bombs on mosques and gun shots fired at prayer halls. Indeed, far right anti-Muslim movements may be gaining strength. France’s National Front party leader Marine Le Pen, who once compared the Muslim immigration to the Nazi occupation of France, has topped presidential polls since last fall. In the UK, Home Secretary Theresa May said her Conservative government’s 2015 manifesto includes extremism disruption orders, which would prosecute individuals for spreading ideology on the Web, social media, and in print that they deem extreme. It is a highly charged political and cultural environment that could play right into the hands of extremists, says Lisa McInerney, a research fellow with the Irish Institute for Conflict Resolution, focused on violent radicalization. "Some policymakers will try and appease the greater population with a hard-line approach, but one of the implications is that you can marginalize a community," she explains. "You inadvertently help recruit for the enemy." Clamping down on civil liberties is the wrong direction to take. "It plays into ISIL’s ‘the West is hypocritical’ narrative, aggravates the sentiment of injustice some potential recruits may feel, and amplifies [extremists’] power by over-reacting to their communication skills," says Stephanie Lamy, founder of Web Community Management, a social media communications agency. Young disenfranchised Muslims only have to turn to social media to find us-against-them narratives, carefully orchestrated by extremist groups such as ISIL on Facebook, Instagram, YouTube, and Twitter. They often use first-person video accounts, rap videos and video game trailers styled after popular games such as Call of Duty and Grand Theft Auto in an effort to bring them to Syria or Iraq and fight on their behalf. The first week of February, Anonymous, which has taken an in-your-face, high-profile tack on combating online extremists, released a YouTube video claiming to have taken down hundreds of sites tied to ISIL (also known as ISIS) as part of its #OpISIS campaign saying, "ISIS, we will hunt you, take down your sites, emails, accounts, and expose you. From now on, no safe place for you online. You will be treated like a virus, and we are the cure." The extremist group followed by circulating a social media guide to try and circumvent the takedowns. ISIL’s efforts on the Web show no sign of slowing down. Following the killings in France, the group released a video in French-speaking countries, in which jihadists urge continued attacks saying, "Don’t give up, don’t lower your weapons, don’t surrender – kill. You now have more than 4 million targets." "It is often thought that young people get involved in extremism because of religious reasons, but research has shown it’s actually because they are looking for a sense of adventure and belonging," explains McInerney. "The videos will say, for instance, ‘This is your call of duty, join the jihad.’"
She says that the production quality of the videos are worthy of CNN, noting, "extremist groups are highly organized in terms of their communications on social media." Law enforcement officials have been acquiring new tools to monitor and track young people being groomed by online extremists. But they’re also exploring ways to help make them less susceptible to radicalization in the first place. Police in Kent, England, have an innovative program they soon hope to roll out across the UK called Zak, which creates cutting-edge child-protection simulations grounded in research findings. The project is supported by the UK’s anti-terrorism strategy, Prevent. "We had tried slide shows, movies, and PowerPoint presentations to talk to people about online radicalization, but in the first five minutes we’d lose half of the class because they’d be more interested in what’s happening on their phones," explains Alamgir Sheriyar, active referral coordinator, Kent Police. "We were keen to explore the idea of a serious-minded online game." The game features a young man, who during the simulation becomes targeted by online extremists. By analyzing posts on his social media site including photos, chats and likes, kids as young as 10 are taught to recognize radicalization and what can result from it. "Extremist groups seem sophisticated in terms of the messages they put out there, but that’s only because of our lack of knowledge in terms of how they’re doing it," says Sheriyar. Zak was trialed in more than 30 local schools in the 2013-2014 academic year, and proved so successful that Kent Police are now expanding the program to other jurisdictions. It is also being positioned as a tool for places such as community centers and foster homes, since the program can reach vulnerable youth who may have dropped out of school. To counteract extremism on social media, stakeholders involved in anti-terrorism have turned, albeit slowly, to initiatives that build an authentic counter-narrative, since they explain it’s futile and even counter-productive to delete the propaganda. As part of its anti-terrorism strategy, which includes prevention of radicalization as one of its four "Ps" – the others are pursue, protect, and prepare – the UK government invested in projects such as Radical Middle Way, an online forum where Muslim preachers traveled around Britain preaching against violent Islamic ideology. Yet critics have charged the results are underwhelming, and think tanks such as the Institute for Strategic Dialogue in London have produced reports arguing governments aren’t in a position to lead counter-narratives, because of "their credibility gap" with young Muslims. Instead, the institute suggests they should play a supporting role, backing civil society efforts through policy, statements by politicians, and funding, for example. In other words: When it comes to fighting the extremist narrative, the messenger is just as important, if not more so, than the message, says Ross Frenett, director of the Against Violent Extremism network (left) in London, which brings together former extremists, survivors of extremism, and others to help push back extremist narratives. The network is run in partnership between the Institute for Strategic Dialogue and Google Ideas. "When you look at extremist propaganda, it isn’t just that they communicate a convincing message, it is that the message comes from people that they might identify with who were maybe just like them and now fighting in Syria," says Frenett. "Likewise, the messengers for us that tend to be most credible are former extremists themselves." Frenett says the best example of that is Abdullah-X, the alter ego of a former extremist created for a Web-only cartoon series about a young Muslim man who struggles with what it means to be Muslim in current day London. In addition to his own YouTube channel, Abdullah-X has his own Twitter and Facebook accounts. What makes it unique is that the character is not one-dimensional. He struggles with issues of identity and faith, and is often disillusioned with the West, but ultimately builds resilience against extremist messaging. In one of the videos, Abdullah-X says: "Another week, another incident, another apparent need for Muslims all over the planet to speak up or be brandished supporters of the kind of people who did those attacks in France. I’ve heard it all this week, and my course work is due, but what am I supposed to do? Apologize to my lecturer and the world for being Muslim?" "I don’t know anymore," he continues, but what the character does reiterate is that violence is never a means to an end. The creator of Abdullah-X has chosen to remain anonymous. He has done select media interviews, including with CNN, which concealed his identity. And as Frenett notes, that’s one of the challenges in building authentic narratives to counteract those from ISIL: Most former extremists are hesitant, and rightfully so, to become the public face of a campaign. "An individual can be more credible, but they can also be attacked," he says. "It is really hard to attack a cartoon character online, because it can be manned by almost anyone and stay above the fray. We’re hoping over the next year or so to have more people become effective counter-narrative messengers." "We’re also seeking to partner with Twitter, Facebook, and smaller to medium tech companies to help stretch the scale of their reach," Frenett explains. By all accounts, there are few organizations actively launching opposing campaigns in direct response to ISIL’s messaging, but one has stood out: London-based Active Change Foundation, founded by former extremist Hanif Qadir in 2003. Qadir tells PRWeek that, having been on the other side, he can leverage that experience in understanding "the multiple narratives coming out of ISIL and the agenda behind them." "The challenge is they understand our communities better than we do ourselves," he explains. Qadir cites as an example the release of a video by ISIL, which showed the brutal beheading of a British hostage and aid worker, David Haines, in September 2014. In retaliation, the US launched air strikes against the extremist group, which Qadir says ISIL likely predicted and would then later use to build a further narrative of Western oppression. 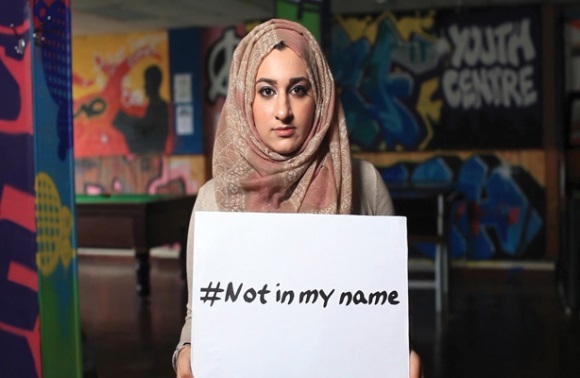 To keep the focus within the Muslim community on Haines and the other Westerners brutally executed, the foundation launched a social media campaign, called #notinmyname, which invited Muslims around the world to stand up against ISIL and denounce its ideology of hate. "The beheading of the reporter was something that so many felt was un-Islamic," Qadir says. The campaign resulted in more than 50,000 tweets using the hashtag in one week, but it wasn’t without its detractors. Another hashtag, #MuslimApologies, was created in response, in which Muslims expressed their frustration with feeling pressured to apologize for their religion by posting sarcastic comments. "We have to seize the opportunities they seek to exploit, by coming back to them with a simple narrative that will generate a large response from the community," he adds. "Communities are often swayed by the way the tide is going, and so we have to create that tide." To keep that tide going, in February the foundation launched a new hashtag campaign, #allstandtogether, to condemn the slaying of Jordanian pilot Muath al-Kasasbeh, who was captured, held hostage, and then murdered by ISIL in January this year. In addition to Twitter, the campaign includes a video of Muslims speaking out against the violent act. Angst and tension surrounding security and privacy concerns on the Internet are familiar ground today, but in the last year data breaches and leaks have evolved into cyberterrorism attacks on a global scale, with extremist groups becoming very skilled at leveraging social networks to deliver their messages. 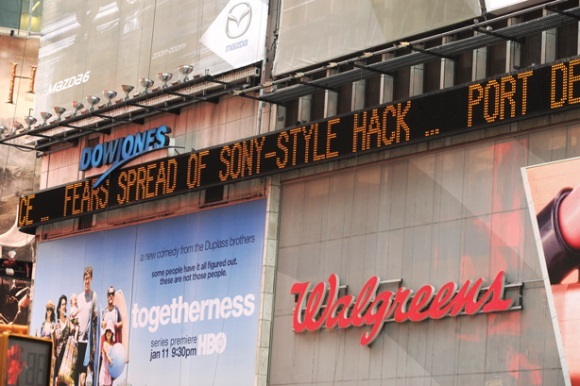 Since August of last year, terrorist organizations have hacked a number of major businesses and governments, such as Sony Pictures Entertainment, the US military’s Central Command, thousands of French media websites, and the Israel Defense Forces site. In some attacks, the company’s or government agency’s social accounts were taken over and, in others, terrorist propaganda or threatening content was posted, causing a shift in attention as to whether or not social networks are doing enough to combat the terror suspects. "There is no place for terrorists on Facebook," a spokesperson for the social media giant told PRWeek via email. "We work aggressively to ensure we do not have terrorists or terror groups using the site, and we also remove any content that praises or supports terrorism." Facebook also has guidelines on terrorist organizations under the violence and threats section of its Community Standards on its website. While representatives from Twitter declined to provide much detail on efforts to help fight cyberterrorism, the company said in a brief statement: "We review all reported content against our rules, which prohibit direct, specific threats of violence against others." The platform also lays out its guidelines on the Web for law enforcement authorities, explaining how they can request private information about accounts. Its transparency report discloses government requests by country and Twitter also has several blogs defending freedom of expression. "Facebook, Twitter, and YouTube are known for giving anyone who abides by their terms of service a platform to voice their opinions," says Sabrina Horn, CEO of Horn Group. "That opinion may or may not be popular, but this openness is vital to the success of their user base." Similarly, Michael Kaiser, executive director of the National Cyber Security Alliance (NCSA), believes one of the greatest strengths of social networks is that they are platforms for free speech. However, he notes, "people who are up to no good will use any communications vehicle available" to get their messages out, and with social it’s easier than ever to reach mass audiences. Kaiser explains that social networks can avoid friction by actively engaging users to make sure they understand their services and how to report potentially threatening posts. The platforms should also have mechanisms in place to block or shut down dangerous content, he adds. After the ISIL hacking of the US Central Command’s social media pages in January, Horn says YouTube and Twitter responded quickly. The fact that the platforms communicated clearly to the public about the hacking and suspended the accounts is a "great example of companies taking immediate action on an issue that could not only affect their reputation, but that of their users, too," she explains. Representatives from YouTube did not respond to enquiries for comment. Jeremy Rosenberg, SVP and head of digital at Allison+Partners, says all social networks today, as well as companies such as Yahoo and Telco, could come under fire for being either overly compliant or not compliant enough. "They must balance the security of their data and the trust of their users with the requirements to uphold the law," he notes. "Remaining transparent will help in keeping the trust of the public." Transparency is complicated when it comes to all matters of security – not just in social media, explains Kaiser. If an organization reveals too much, it could "give bad people an opportunity" to figure out another way around the system, he says, so it makes sense not to advertise specifics. But by being less vocal, companies may come across as being dismissive, Kaiser adds. Such was the case at the end of January when Mark Wallace, CEO of the Counter Extremism Project called out Twitter before the House Committee on Foreign Affairs: Subcommittee on Terrorism, Nonproliferation, and Trade. "We reached out in an effort to stop extremists who encourage and instruct in the ways of murder and terror, from abusing the platform," he says, "and the response from Twitter was dismissive to the point of dereliction." "The hijacking and weaponization of its platform is a dangerous and growing problem," adds Wallace. "Social sites have a responsibility to more than protect their bottom line – they have to act against abuse. They provide the means for extremists and there should be accountability."